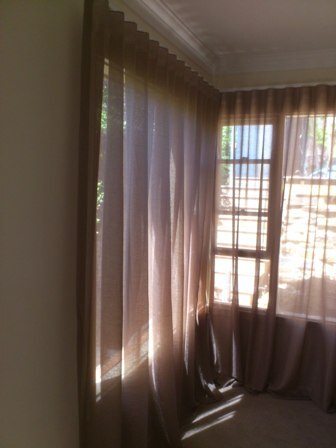 At Rags to Riches Upholstery & Curtains, we specialise in manufacturing various window coverings including pinch pleat curtains, inverted pleat curtains, wave curtains, rod pocket curtains, roman blinds, pelmets, swags and cascades, valances, and pelmets. 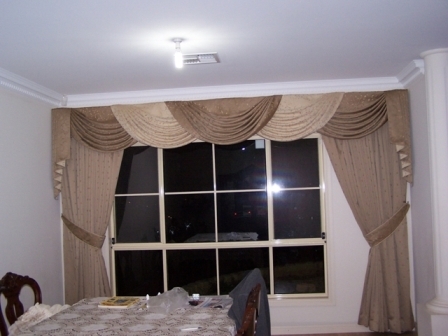 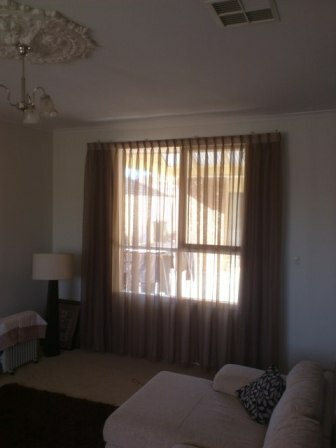 Curtains can be done in coated or uncoated fabrics, lined with block-out or universal lining. 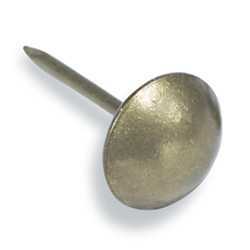 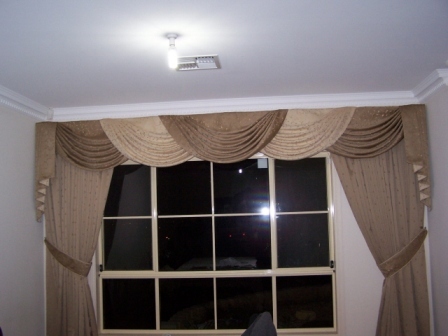 We provide all necessary hardware for windows treatments. 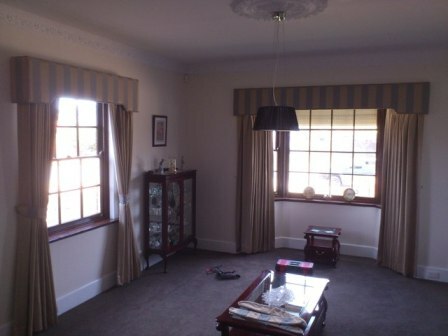 Contact us to arrange a quote. 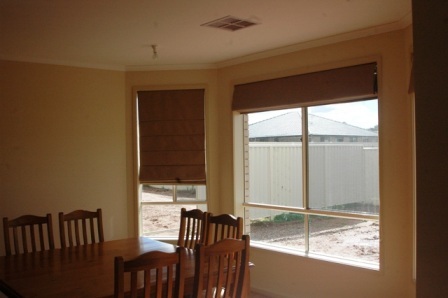 Please e-mail us measurements of windows and we'll prepare rough quote including labour cost, quantity of materials and cost of hardware. 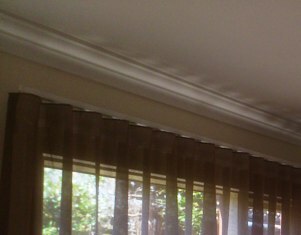 create a modern look with a neat, flat heading. 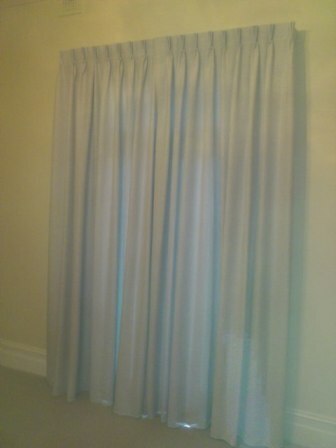 Double fullness is used for curtains, and 2.5-3 times fullness for sheer fabric. 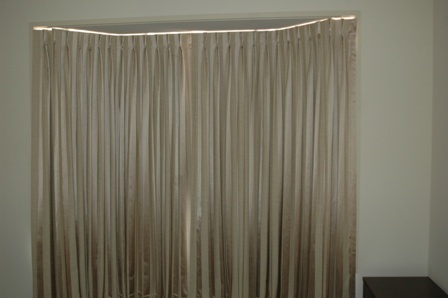 Inverted pleat curtains can be installed on a decorative rod or curtain rod. 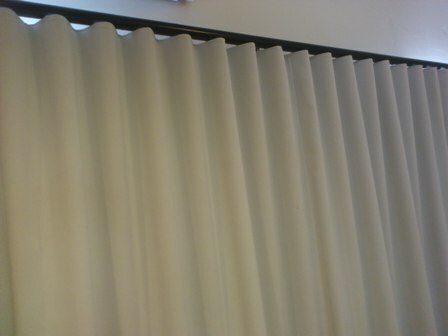 are simple flat panels of fabric with stitch-in heading, rod pocket and hems. 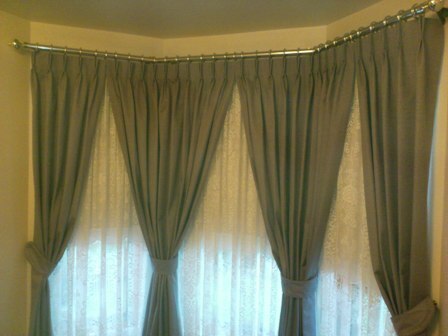 Mainly used for sheer curtains. 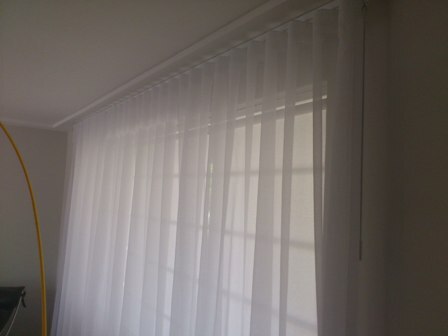 are ideal for the minimalists, as they use less space than curtains and are installed above or inside the window. 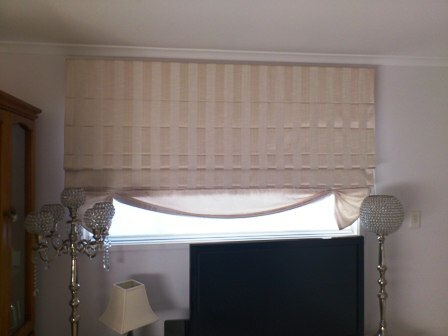 These are great for blocking out heat and light, while giving an elegant finish to room. 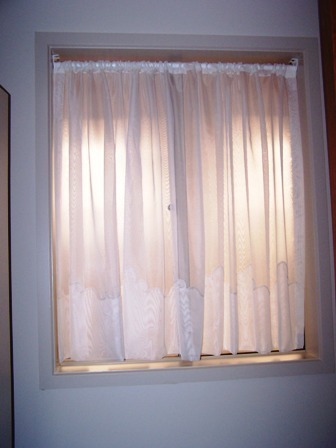 used over curtains or blinds, give your window a nice look. 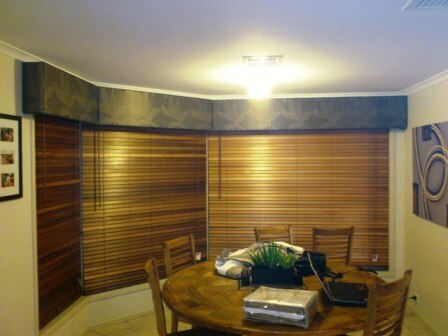 They may also be used alone to allow light into a room and to frame a beautiful view. 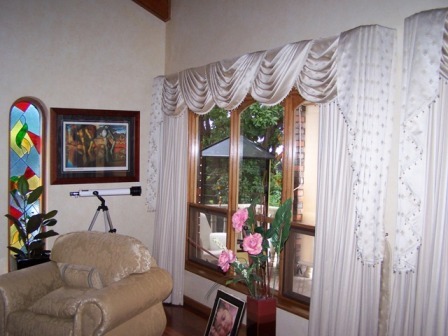 Most popular top treatments are pelmets, pleated valances and swags. 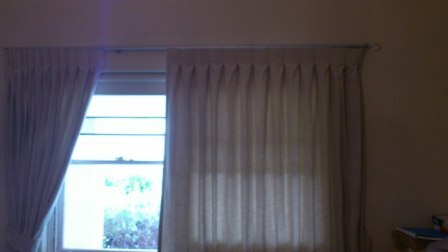 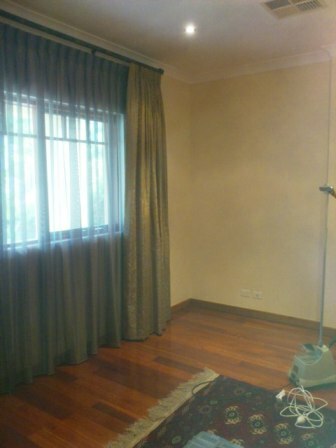 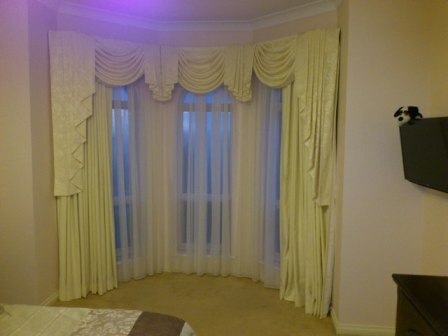 are top treatments used over curtains or blinds, or sometimes alone. 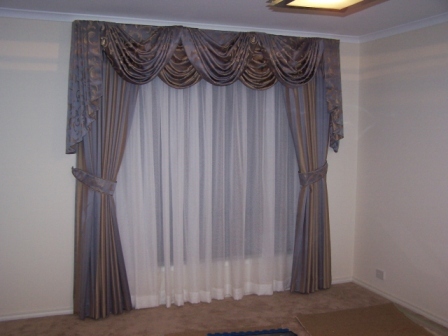 They are usually draped into soft, graceful folds, using fabrics that drapes easily. 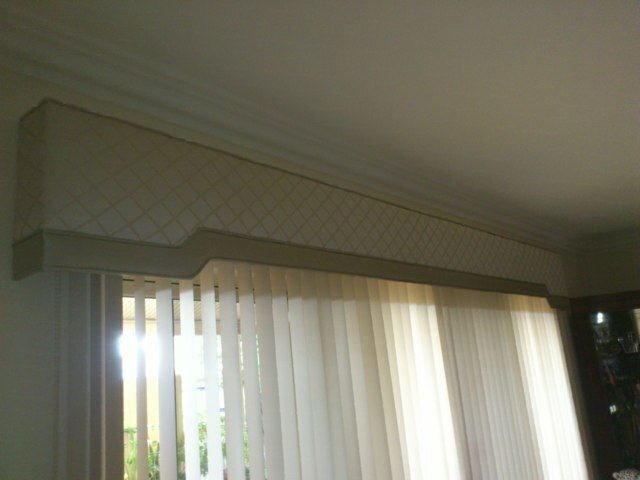 Swags should be lined. 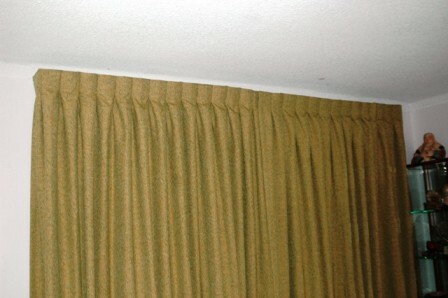 are folded pieces of fabric that fall from the top. 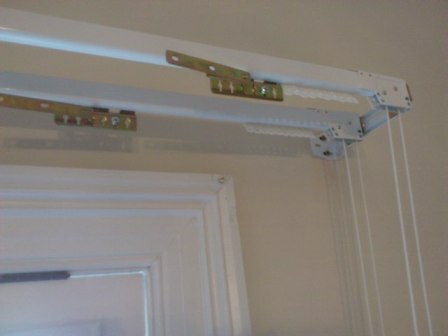 They can be done in different length, about 1/3, 2/3 the lenght of the window, or all the way to floor. 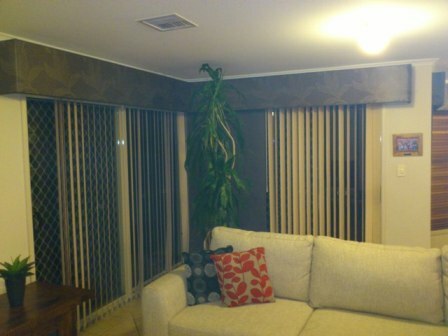 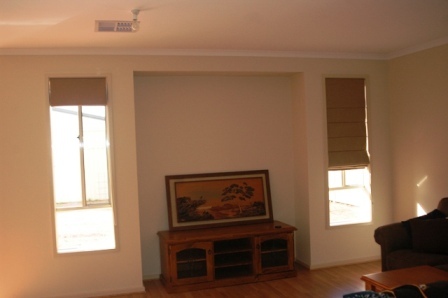 enhance the look of a window treatment and can be also stunning feature over blinds. 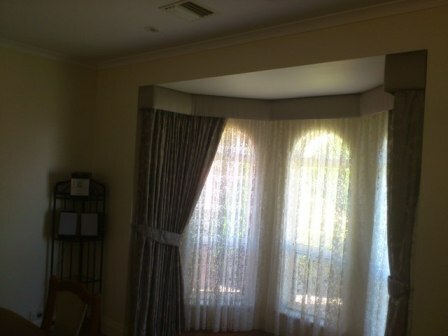 Pelmets help to reduce heat and keep curtains cleaner. 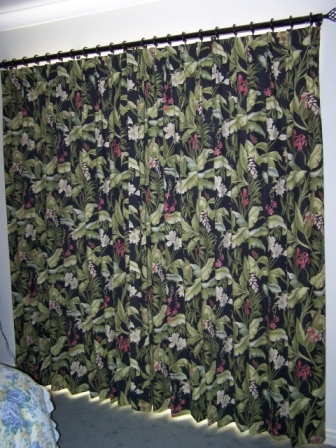 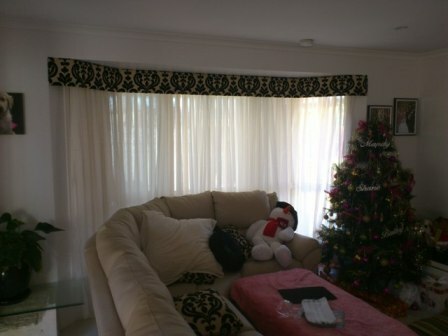 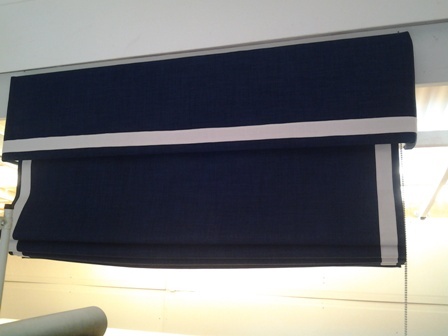 At Rags to Riches we can make padded pelmets to fit single, or double curtain tracks. 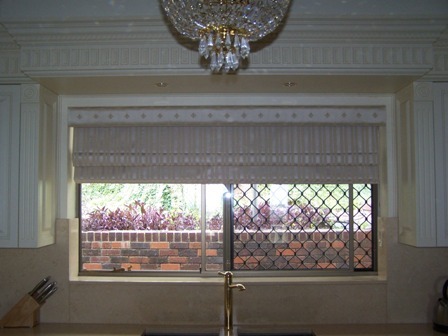 We also manufacture pelmets for bay windows. 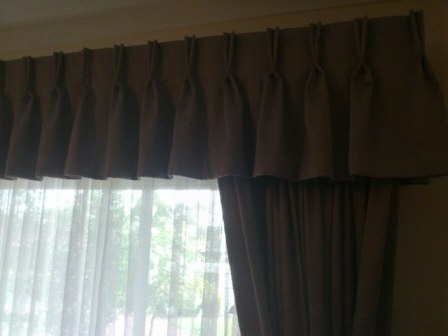 Our pelmets can be made to a variety of designs: straight, shaped, and we can also add pipping or decorative trim, or we can put contrast insert or edging. 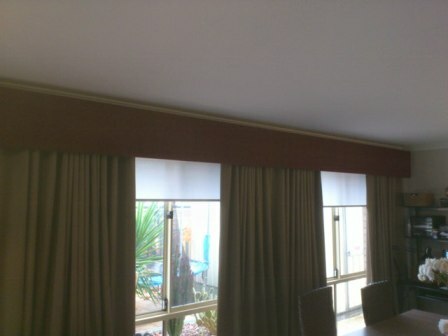 For construction of pelmets, we use pine and MDF panel where all parts are glued and nailed. 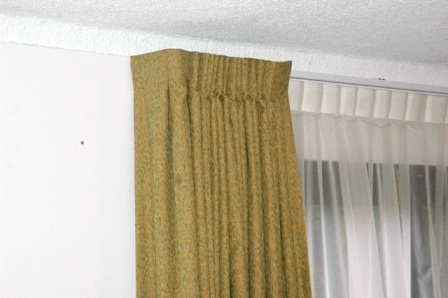 Front and sides of pelmets are padded with 12mm foam or 200gr Dacron. 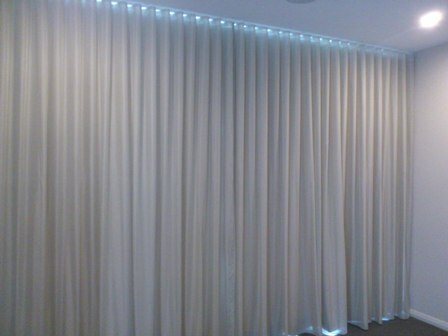 Inside of pelmet is lined to provide a neat look. 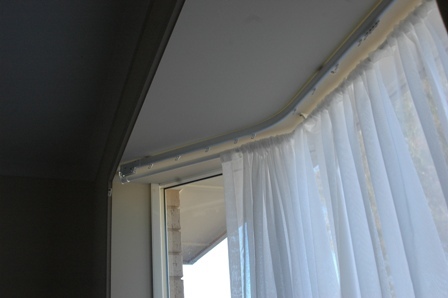 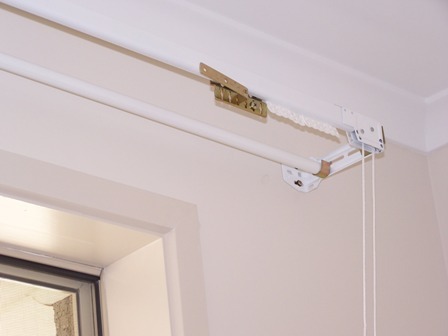 Pelmets can be installed over the curtain tracks, or the alternative of curtain track and sheer rod can be mounted in the top of pelmet. 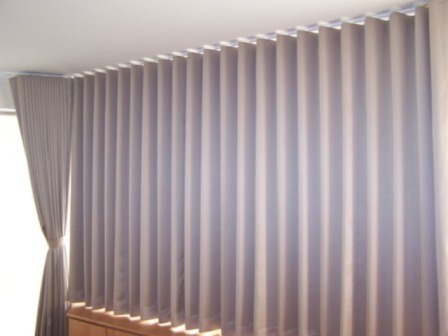 - used for pinch pleat curtains, inverted pleat curtains, pencil pleat curtains, and wave curtains. 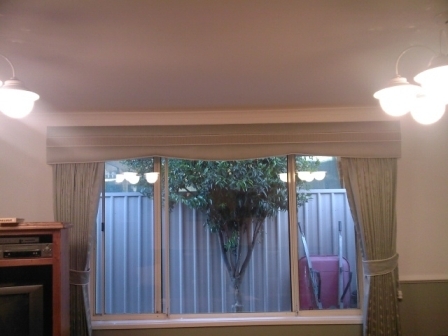 They can be bent for bay windows. 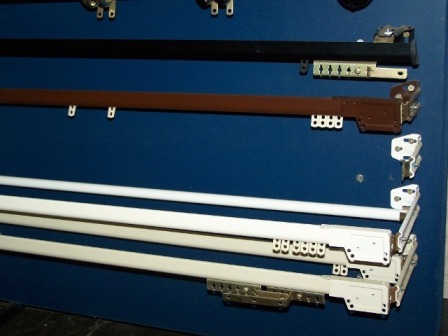 Available in white, ivory, birch, brown, black, silver, satin silver and gold; with hand or cord draw. 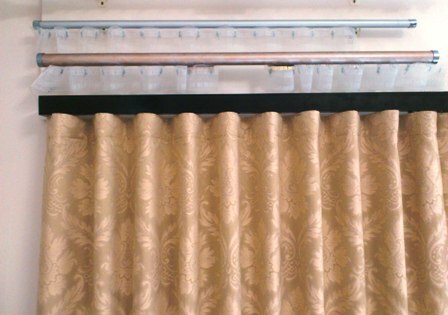 used for pinch pleat curtains, inverted pleat curtains, pencil pleat curtains, and wave curtains are available in gold, silver or satin silver colours and can be used with rings or sliders (satin silver rod only with sliders). 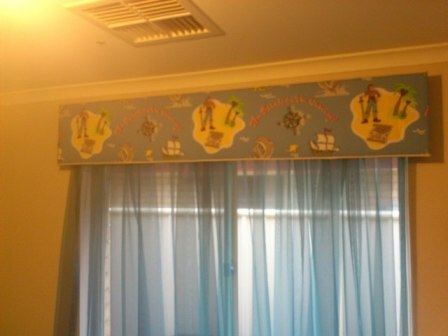 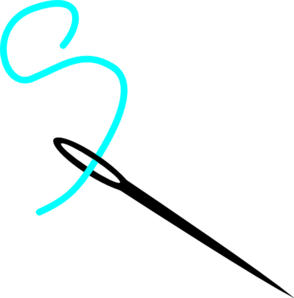 Available with cord or hand draw. 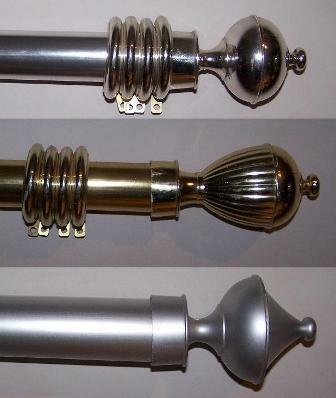 Rod's diameter is 38 mm. 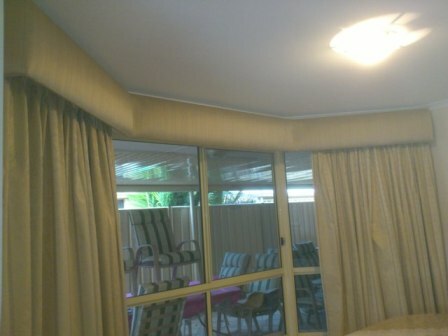 Wave Curtains Tracks and Rods.